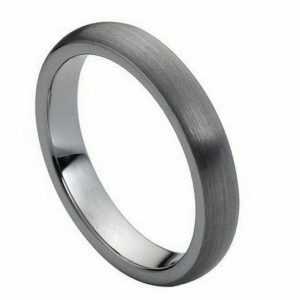 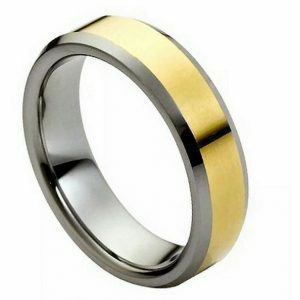 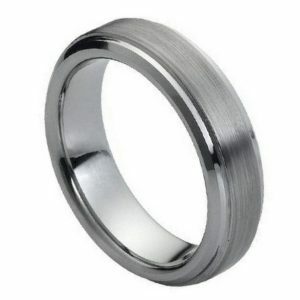 This comfort fit tungsten ring features a diamond patterned brushed finish on the top and shiny beveled edges. 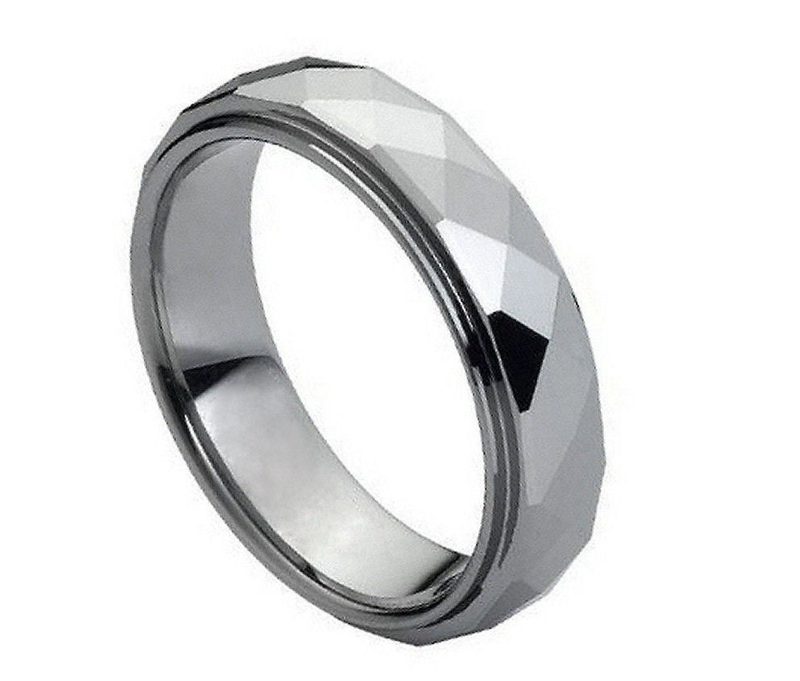 A very stylish and contemporary design. 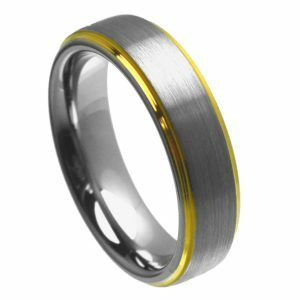 This modern wedding band makes a statement that your style and your love are truly unique.